So you want to become a product manager? 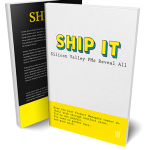 While The Lean Startup, The Hard Thing About Hard Things, and Hooked should be in every aspiring PM’s Kindle, reading books or attending conferences aren’t enough to get hands-on experience in building software products. 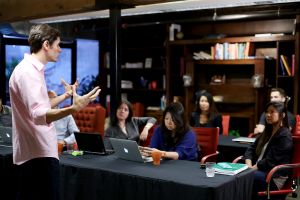 Rippling from the tidal wave of tech coding bootcamps like Hack Reactor or DevBootcamp, Product School is the main school to formalize this career training with an eight-week part-time product management training held in San Francisco, Silicon Valley, and New York. To date, 30 percent of Product School’s graduates get product jobs within 3 months, and at the tail end of the program, students get help preparing their resumes and LinkedIn profiles, practice mock interviews, and facilitate right introductions with companies that are actively hiring junior product managers. As a prospective candidate, the numbers may feel stacked against you, but when you reach your interview date, you’ll want to know those unspoken expectations your potential team may ask of their PM. As one of the most desired careers in tech, the process of becoming a product manager is still shrouded in some mystery. Most of the product managers today are self-taught because there was no formal path to learning how to build products before. The most common ways to become a product manager are to either create a startup and learn everything on the go, or join a fast growing startup and transition to a product management career from other roles such as software engineering, project management, customer support, online marketing, etc. I created Product School as a solution to a problem I had eight years ago. I was a software engineer that wanted to learn how to have a bigger decision-making power over the products I was assigned to code. It took me years to learn everything on my own, but it also made me realize that there were a lot of people with the exact same problem. There are a lot of technical and business schools that teach some of the skills required to build digital products, there was no school focused on teaching product management as a holistic discipline. That’s why I created Product School. So here, I break down the steps necessary to get the job, but first, you should know: The competition is steep. Most of the entry-level product management positions require few years of experience on the job. The hardest part is convincing the hiring company that you will be successful as a product manager, without having a formal product management title yet. The best way to fill that gap is to position yourself as being successful in all key areas a product manager needs to cover, culled from various work experiences. You often see large companies home grow PMs via highly selective Associate Product Manager (APM) programs that have a “throw ‘em in the deep end” philosophy, giving green PMs a lot of mentoring while holding responsibility, owning features, products, and important projects with millions of users. For example, Google’s Associate Product Manager Program was created by Marissa Mayer when she was an executive at Google. 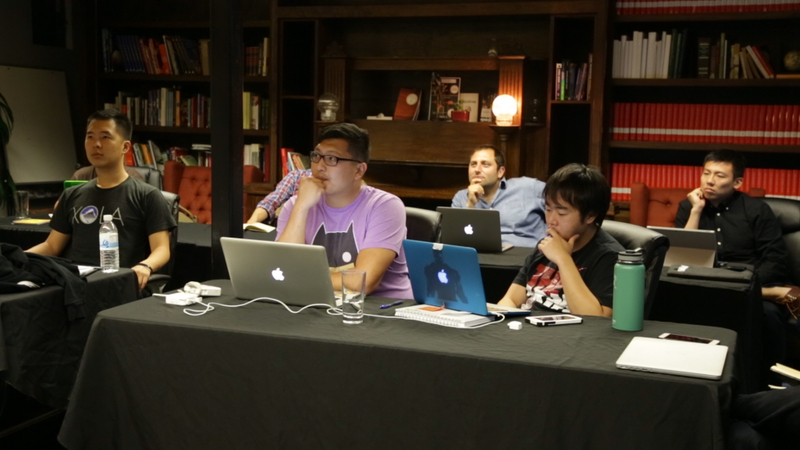 The goal was to train fresh college engineering grads interested in becoming Product Managers. Then, Marissa created a similar program at Yahoo when she moved in as CEO. While Google’s APM program acceptance rates aren’t public, some purport general acceptance rate for full-time jobs at Google to be about 1 out of 130 (.77%), and according to Don Dodge, Google’s Developer Advocate, it’s half of one percent. Getting a job as a product manager is more competitive than getting a job as a software engineer. The average ratio of product managers to software engineers at a technology company is 1 to 10. Moreover, the job applicants to product management positions are not just existing product managers but aspiring product managers from diverse backgrounds such as software engineering, management consulting, online marketing or user experience design. So what should prospective PMs do to rise above the competition and get their dream job? According to the product manager’s manifesto, Product School recommends any aspiring PM to think of themselves as the product. You don’t need to be a software engineer but you need to understand how software works and be able to earn the respect of your engineers. Those who know how to code have a definite leg up in the process, but if you don’t, you can still build something to prove your curiosity and expertise. Similar to designers who have a portfolio to showcase designs, an aspiring product manager needs to be prepared to showcase side projects such as wireframes, websites or mobile apps; some of them can be done with tools that don’t require any coding skills whatsoever. You have to care about the product that you want to manage. The best way to prove that you understand a market, its customers, its problems and what needs to change is to have experience working in the same industry, even if it wasn’t as a product manager. You are going to spend most of your time communicating instead of doing. That’s what Paul Graham, Founder of YCombinator coined as the manager’s schedule. As a product manager, you are responsible for defining the what, and your team is responsible for defining the how. You don’t need to be a public speaker or a book author. However, every product manager needs to be an incredibly fast learner so you can keep up with industry trends and team needs in order to be able to share a clear vision of the product with every single stakeholder. For product managers working in the field, there may not be a better gig for tech and business hybrids. With high stakes, product management has a direct impact on the market and can build incredibly satisfying careers of invention. Most importantly to know, when your users win, you always win.